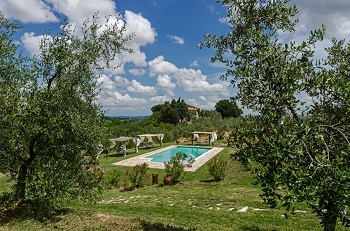 Podere Costantino is a welcoming property in the countryside, surrounded by the gorgeous Colline Pisane (Pisa 's hills). 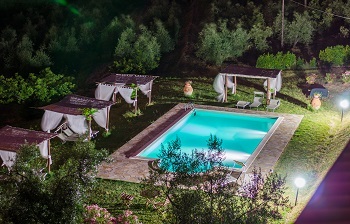 Located at the heart of Tuscany, it gives access to the best the region has to offer: beauties of nature, unique artistic treasures of cities such as Pisa, Volterra and San Giminiano, Florence, Siena and Lucca and at only 40 km from the seacoast. 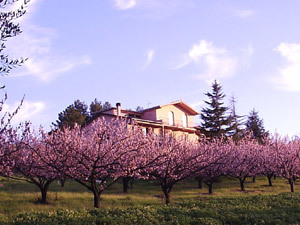 The estate is located near the road that runs through the hills where is produced the renowned Chianti delle Colline Pisane wine. The property is away from the traffic, surrounded by green hills, in the top of the hills that you can enjoy the charming view of the countryside and the typical Tuscan village. 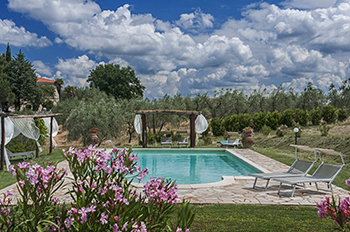 Podere costantino is located on a quiet street surrounded by greenery with a private garden (7.4 acres). 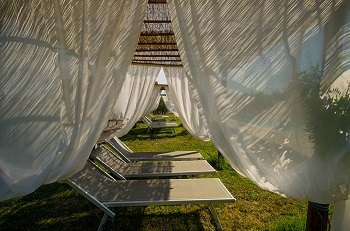 It’s so peaceful and relaxing that many guests are reluctant to leave to enjoy all the delights of the surroundings. 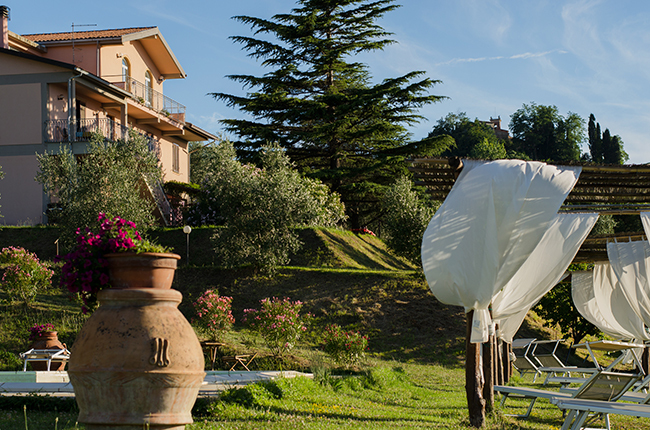 Podere Costantino is located 2 km far from Terricciola, a village that it is home to some world-known vineyards. Here you will find restaurants, stores, post office, drugstore, tennis courts, medical assistance. At only few kilometers you can find horse riding, field of tennis, swimming pool with thermal water and treatments aesthetic. From generation to generation, the owners have been olive oil-makers and fruit producers and from April to October, you will get the chance to sample the wonderful season's fruits produced (strawberries, cherries, apricots, peaches, figs, grapes).